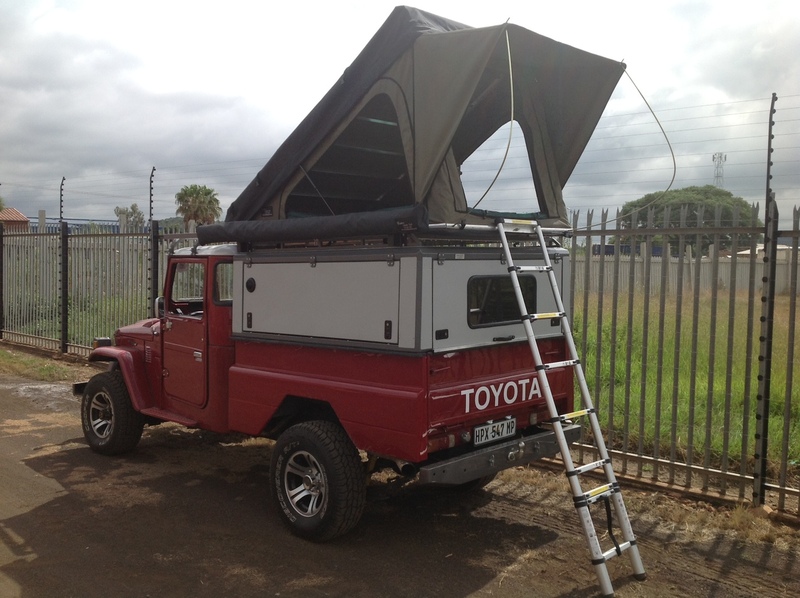 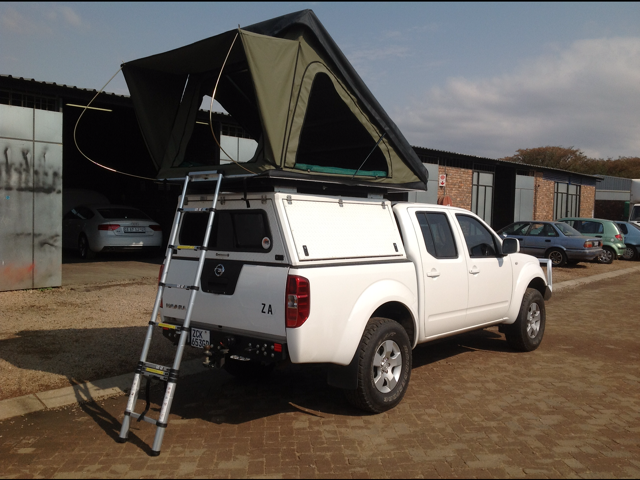 Our "Quick pitch roof top tent" works in a similar way to the hard shell tent as it pops open on gas lifts but rather than having a metal outer shell it has a zipped canvas top cover which stays attached to the tent when opened. 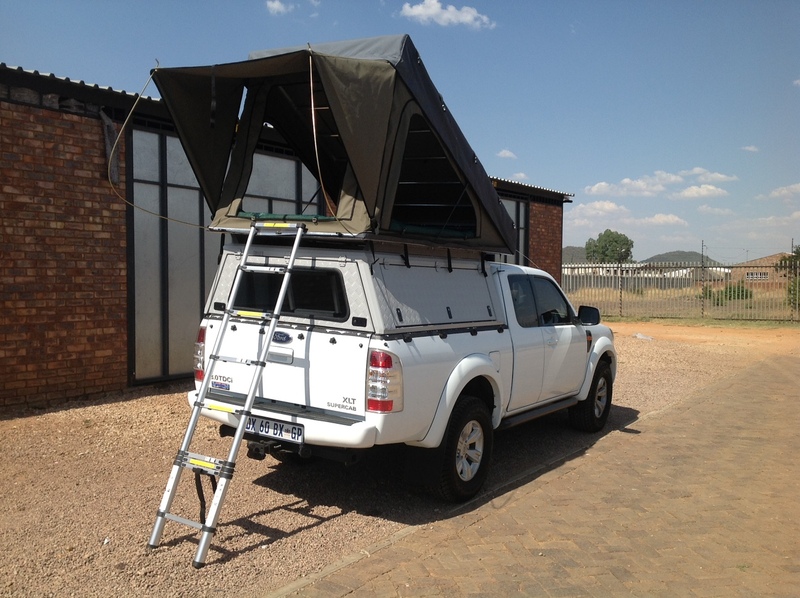 The tent has an aluminium base and hinged lifting frame. 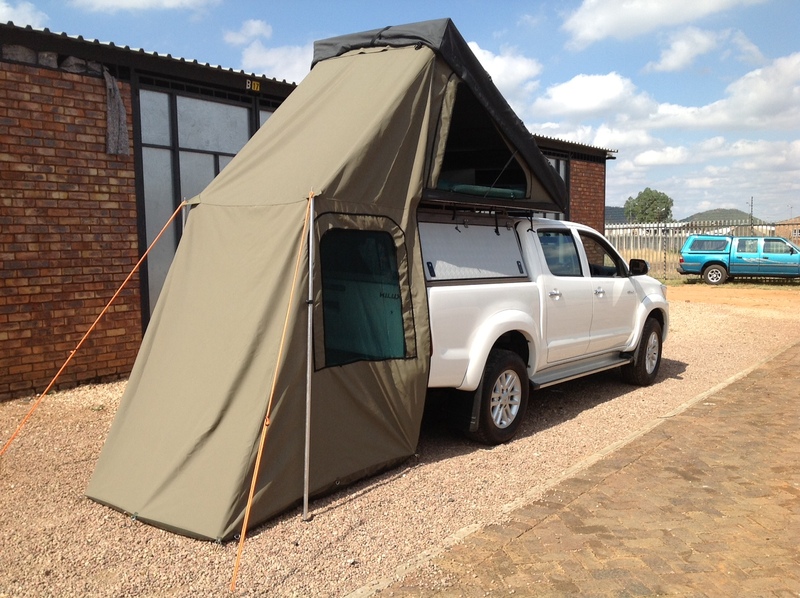 The motivation for developing the Quick pitch tent was to try and produce a tent that was lighter and cheaper than the hard shell tent but still be quick and easy to use.